Please join me for a York County District 5 Town Meeting on October 11, 2016, in the Tabb Elementary School Gymnasium. The address is 3711 Big Bethel Road. The meeting will start promptly at 7 p.m. and end at 8:30 p.m. It has been nearly two years since the last District 5 Town Meeting and it’s time for an update. During the meeting I will provide an overview of District 5 so that you can see how your neighborhood fits into the County, Hampton Roads and the Commonwealth. You will hear about public and private developments, including roads, and see Sheriff Department maps of crime reports and Fire Department maps of responses within our district. Other topics include: education, county government structure, update on public works, parks and recreation, and libraries. If time allows, we will look at the economy, budgets and finance that may surprise you. Finally, I am looking for help in delivering nearly 3,000 meeting flyers. Please email me, if you would like to help deliver flyers within your neighborhood. The frog is satisfied, and they set out, but in midstream, the scorpion stings the frog. The frog feels the onset of paralysis and starts to sink, knowing they will both drown, but has just enough time to gasp "Why?" As this Administration has doubled down and dug its heels in on its backroom deal with Iran, it's become more and more apparent that the frog in this story is us. The Obama Administration is forging a "diplomatic" relationship with a nation that is broadly known to be the world's foremost state sponsor of terrorism and somehow expecting not to get stung. Worse still, the Administration is intent on misleading the American people while making broad concessions for Iran. How? The Administration misled the public about the terms of the arrangement with the Iranian regime, they misled the public about the nature of the payment they made to Iran during the release of American hostages, and they misled the public about why the money wasn't wired to Iran (as other recent payments have been). This has to end. America isn't a follower, it's a leader. We don't devote our energies to making sure that terrorist states are happy. We devote our energies to peace—and diplomacy—through strength. We set the standard for the rest of the free world to follow. We make decisions with our eyes open. This week, I supported two important pieces of legislation that aim to expose how the Iranian regime facilitates widespread human rights abuses and end the Obama Administration's practice of negotiating with terrorist states. The Iranian Leadership Asset Transparency Act would stop Tehran from financing terrorism or laundering money by requiring the federal government to publicly report all assets held by Iranian's top leaders. That's incredibly important if we are to put an end to terrorist attacks around the world. I also supported the Prohibiting Future Ransom Payments to Iran Act to prevent ransom payments from the U.S. to Iran in the future. The Obama Administration's intentionally deceptive cash payment to Iran sets a dangerous precedent for the future, and I will do everything I can to prevent that from happening again. ...you are eligible to vote Absentee. To access an Absentee Ballot Application form and the full list of reasons of why you may be eligible to vote Absentee, click HERE. Apply online to receive a ballot by mail by clicking here. Vote Absentee In-Person by visiting your county's Office of Elections, or various satellite voting locations. Click HERE for James City County Office of Elections information, including hours of operation. Click HERE for York County Office of Elections information, including hours of operation. You will be able to vote Absentee In-Person in this year's general election beginning TODAY, Friday, September 23, 2016. Election Day is only 47 days away! If you need to register to vote, update your current voter registration, or will be unable to make it the polls on Election Day, please visit this website. The deadline to register to vote, or to update your current voter registration to participate in this year's general election is October 17. 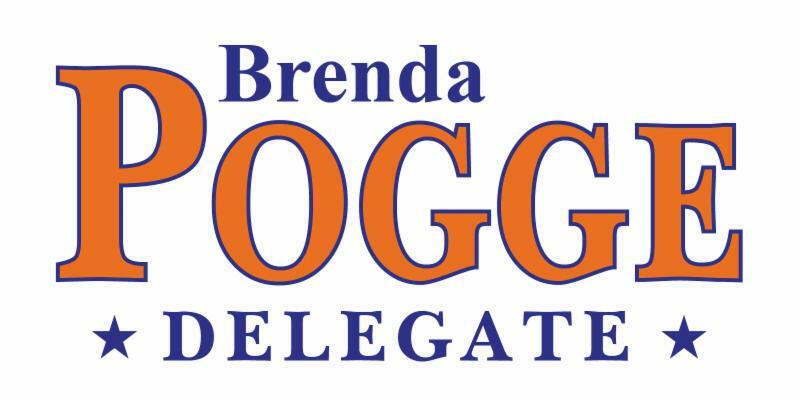 If you have any questions about Absentee voting, registering to vote, or if I can be of assistance in any way, please do not hesitate to call me at 757-223-9690 or email me at DelBPogge@house.virginia.gov. Fellow Hobbyists: Because of the anticipated rain and other conflicts, Clarence Goodwin has wisely decided to cancel this event. Fellow Hobbyists: An outstanding opportunity forwarded for your consideration. Classic Cruiser Members: See you at tonight's meeting. Clarence, I have the half-sheet flyers ready. I will put them in the multipurpose room on Friday.